Surecare protective underwear offers extra absorbency-One of the main advantages of using Surecare protective underwear is the extra absorbency that is built into the product. Surecare protective underwear comes in super and extra absorbency. All Surecare protective underwear is made from breathable fabric that stretches with the wearers movements. Inside the Surecare protective underwear there is a cloth like moisture barrier that quietly wicks away the moisture. Each Surecare protective underwear also has a wide gel core that is super absorbent. All of this comes together to make a incontinence undergarment that is highly absorbent which will then in turn prevent leakage and accidents. In addition, to preventing accidents and leakage all of the absorbency features also work together to protect the delicate skin of the wearer. Surecare protective underwear comes in a variety of sizes-The maker of Surecare protective underwear understand that not everyone with incontinence is the same size. Not only is comfort is an integral part of fit since small people don’t want to feel like they are swimming in their Surecare protective underwear and larger people want to feel comfortable in theirs but fit will also dictate the amount of protection that someone has when they wear Surecare protective underwear. The bottom line is that if the Surecare protective underwear is too large or to small then gaps can occur that can cause leakage and accidents. In addition, when Surecare protective underwear (or any other incontinence product), does not fit it can cause irritation to the skin that puts the wearer at risk of skin breakdown and infection. Surecare protective underwear is offered in sizes small to extra large giving everyone the option of finding just the right size for them or the person who is in their care. Surecare incontinence under pads can help provide another layer of protection-Many times other incontinence products are needed besides incontinence undergarments. Incontinence can be a problem in almost every room of the house. Surecare understands this and makes incontinence under pads that add another layer of protection. 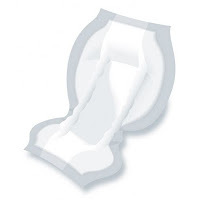 The Surecare incontinence under pads can be used to help protect furniture and bedding. Best of all, they come in different sizes so that you can choose the size that you need. If you decide that Surecare protective underwear is right for your needs you can purchase it at online sites that offer adult incontinence products. This makes it easy to shop from the comfort and privacy of your home and office and allows you to continue to effectively manage your incontinence or that of someone you care about. Using Surecare protective underwear can be the right step toward preventing the risk of incontinence accidents.